275 x 320 x 205 cm. 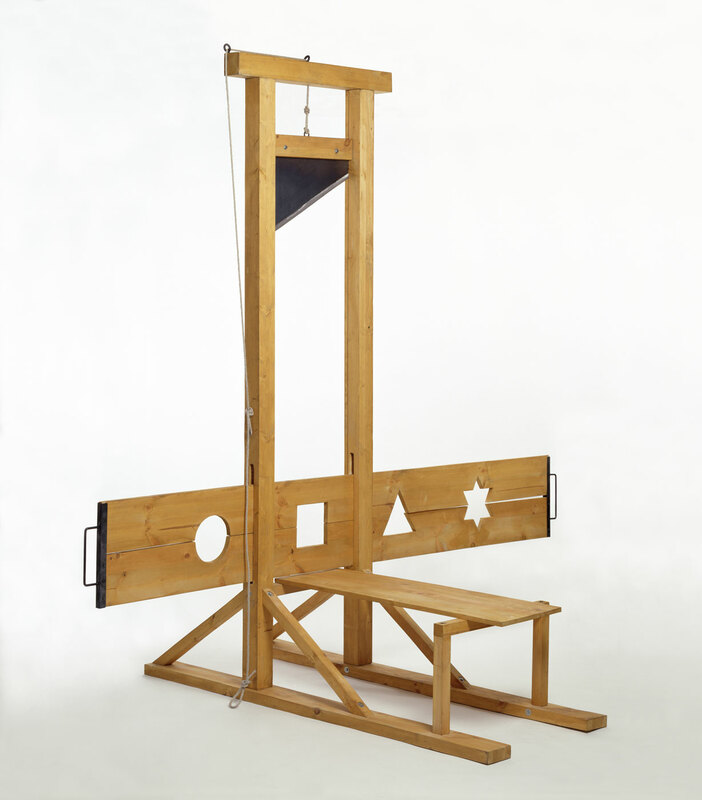 Eine modifizierte funktionsfähige Guillotine mit bewegbaren Halssegment. The structure of the play is not the same as the structure of the playground.